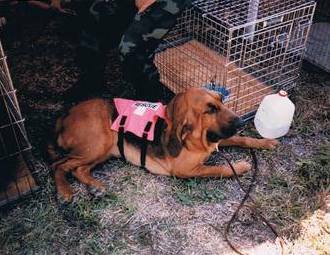 Back in the mid to late 80's, when I decided that I wanted to do Search and Rescue with a dog, I decided on a Bloodhound. I got my Bloodhound, Sniffer from Pat Bihler in PA. What a great dog she was! She was such a ham from the beginning. Everyone that I spoke with in the Search and Rescue world told me that I would never be able to get a Bloodhound to be an Air-Scenting, Off-Lead Search Dog. So, I just stopped telling them that I was going to get a Bloodhound. I would tell them when they asked what breed I was going to get, that I had not made us my mind yet. A group of us that were friends from the Obedience Club decided we would like to train dogs for this. 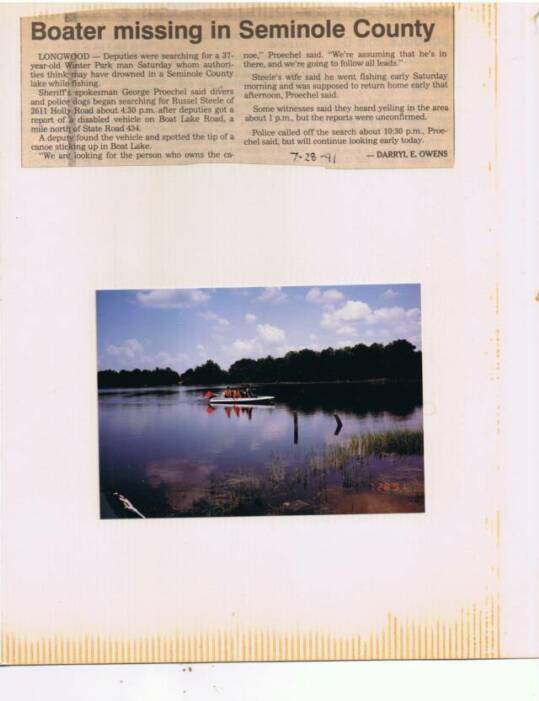 At the time there were not any civilian SAR teams in Florida. We started by reading the book, Search Dog Training by Sandy Bryson. It was just trial and error. But we did it! 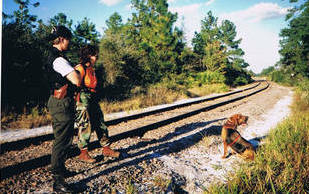 We joined a team of Police Bloodhound Handlers called The Florida Search Dog Network. We were a bit out of place since all of them were Tracking and Trailing Bloodhounds. We were off-lead, air-scenting dogs. The only thing in common was that I had a bloodhound! I learned alot about scent work and reading dogs from the team trainer Bernie Greer. Bernie had been working Bloodhounds for the Orange County Sheriff Dept since the early 70's. We hosted a Seminar and one of the guest speakers was Bill Dotson, a member of the original US Disaster Dog Team. He gave us so much help and information. He eventually certified all our dogs. We decided we needed to form our own SAR Team and formed Florida Disaster Dog Search Team, Inc. We were the first civilian SAR Dog Team in FL. 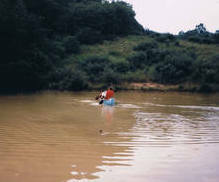 We offered dogs teams to search for Lost Persons, Body Recovery in Drownings, and Cadaver Searches. 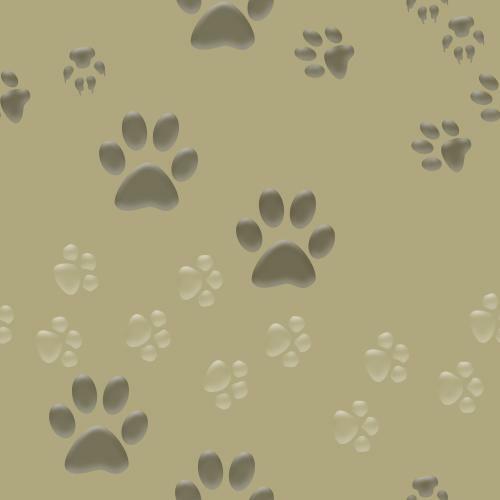 We learned many valuable lessons in working with our dogs. The team helped bring closure to many families in their time of need. Unfortunately, I lost Sniffer to Bloat. I continued to do some SAR work, but really lost my heart for it when I lost her. She was a truely amazing dog. I have included on this page pics and articles from actual searches that we participated in. 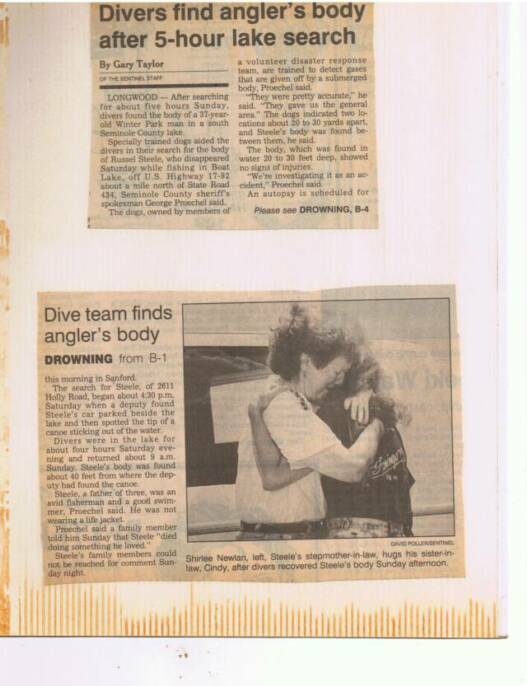 Sniffer, myself and Bill Dotson during Sniffer's first Body Recovery in Drowning training session using a diver. 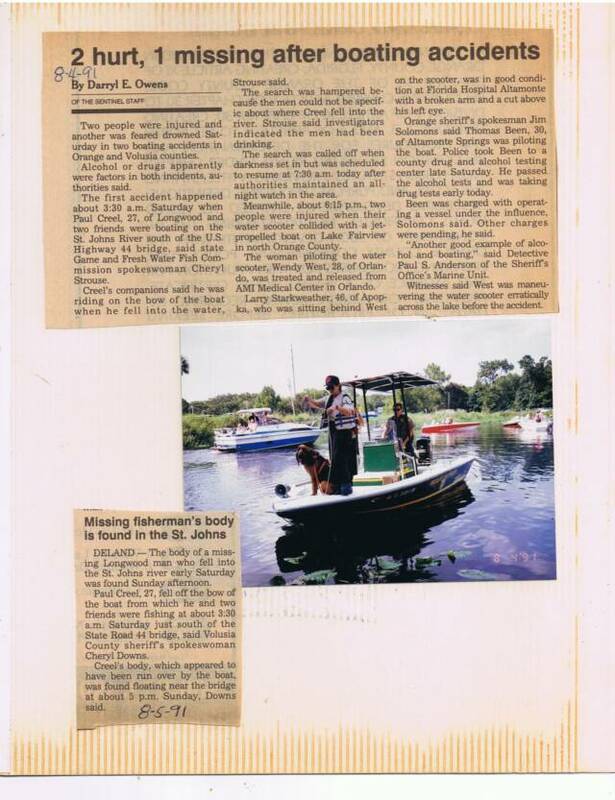 These newspaper clippings and photo from an actual search where we helped locate the victim. Another successful search for the team! The team helped locate the area where the body later surfaced.